Charli XCX Making Debut On ‘Saturday Night Live’! “Live from New York, it’s Saturday Night!” Most likely, you know this common catchphrase from the awesome comedy show, Saturday Night Live. 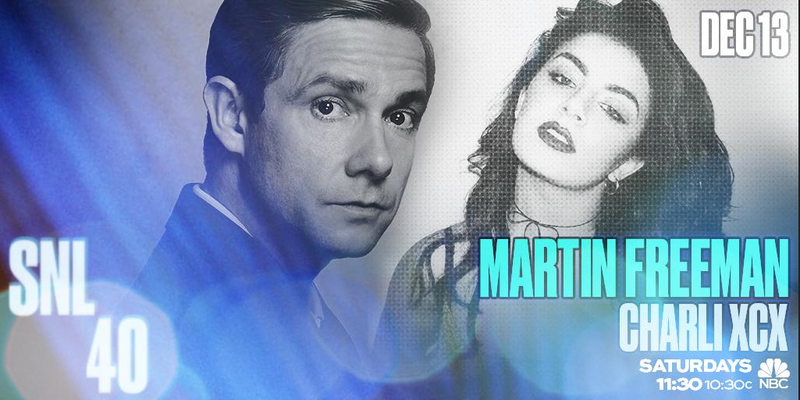 And come December 13th, the cast of SNL will be welcoming Emmy award-winner Martin Freeman on board to host this episode along with music from the only and only awesome, Charli XCX as they make their debuts! 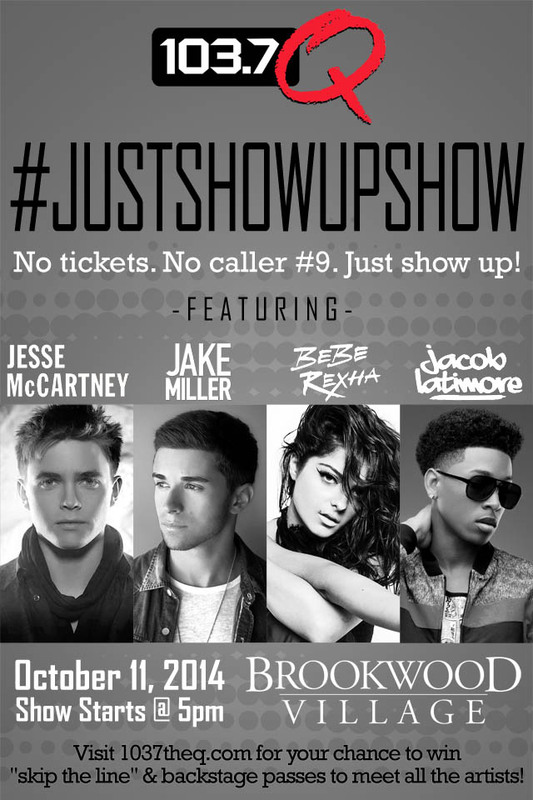 103.7 Q’s #JustShowUpShow Presents Jake Miller, Jesse McCartney & More! For all those in need of some plans in Birmingham, Alabama tomorrow, October 11th, then get ready for fun! 103.7 The Q are once again throwing their Just show Up Show! Last time it was with MKTO, now it’s Jake Miller, Jesse McCartney, Jacob Latimore and Bebe Rexha! So, make sure you head to Brookwood Village tomorrow as this FREE show begins at 5 p.m.! Cody Simpson Performs At Mall Of Georgia — Pics & Video Here! On Saturday afternoon (August 16th), the pop sensation, Cody Simpson performed at the Mall of Georgia as a combination music and fashion show drew hundreds of teens and their parents or other relatives. 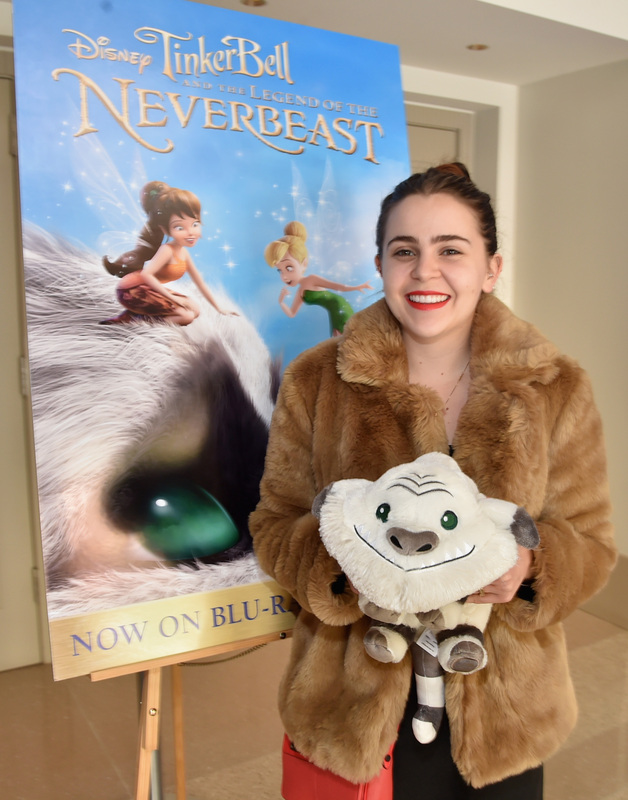 The Australian pop singer was the headliner of “ABC’s of Style” event, which marked Teen Vogue’s Back-to-School Saturday initiative. It was a local version of a nationwide tour of Simon Malls. Check out Cody performing in the video below shot by a fan at the event! Plus, there are some sweet pics under that as well! Check them out! Get Ready For The B96 Pepsi Summer Bash! 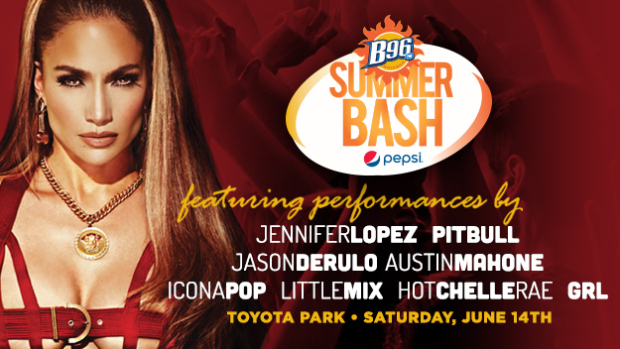 Today (June 14th) is the day for the B96 Pepsi Summer Bash at Toyota Park in Chicago! We’re sure many fans are excited to be able to see their favorite artists on stage like Pitbull, Austin Mahone, Little Mix and more. Unfortunately, there are many who can’t make it to such an awesome event. For those who are unable to, B96 is streaming the entire bash on their website! To view it all on live, just click here and enjoy the show! 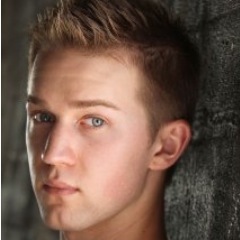 Hey, Jason Dolley fans of Tennessee, guess what’s going on in your local area of Gatlinburg? The former Good Luck Charlie star will be heading to Ripley’s Aquarium of the Smokies on Saturday June 14th at 3 p.m..
That’s right! So, plan your day at the aquarium where you can meet up with Jason, maybe even get a pic or two. Just head here for more details! 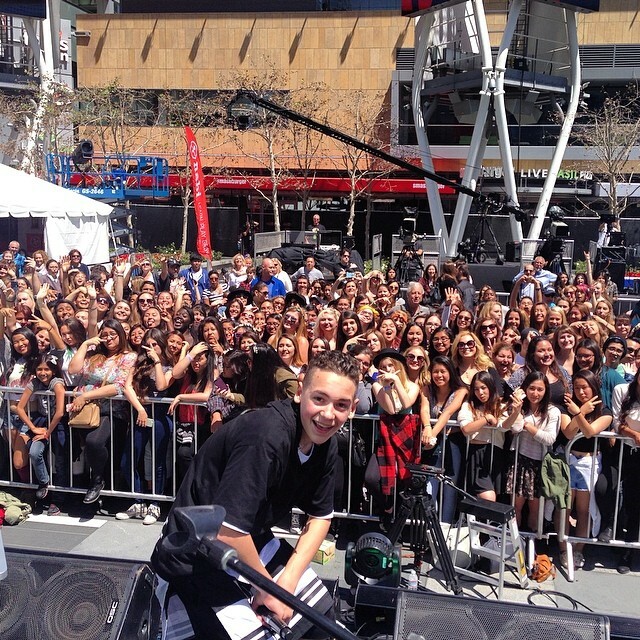 Alex Angelo Debuts As On-Air Personality For Radio Disney This Saturday! Radio Disney’s presenting a new on-air personality to you guys this coming Saturday May 24th! 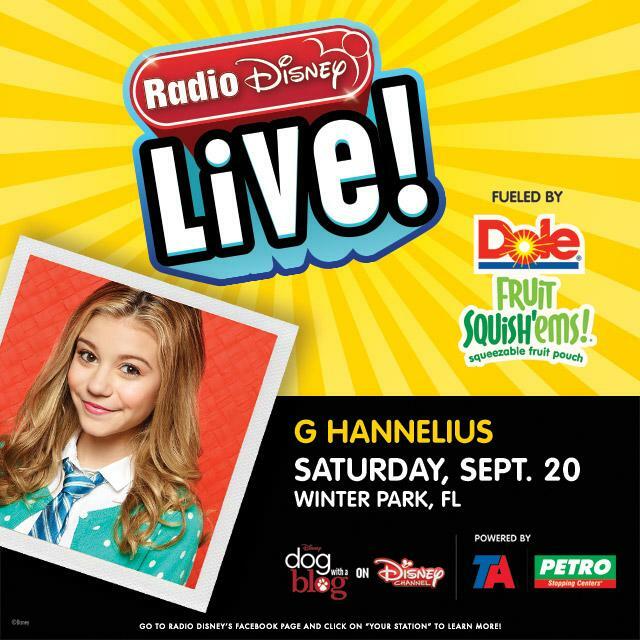 Music artist Alex Angelo will be debuting as the host for Radio Disney’s Saturday Night Party this Saturday and every Saturday afterward. So, tune in this weekend beginning at 9 p.m. EST/ 6 p.m. PST to welcome him to the Radio Disney family! Radio Disney Live will be heading to the Coca Cola Speed Street in Charlotte, North Carolina this coming Saturday, May 24th. 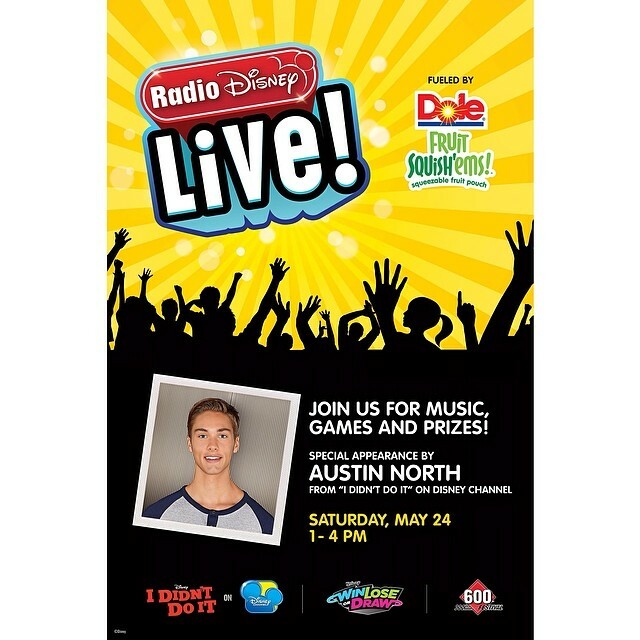 There will be a special appearance by Austin North of Disney Channel’s I Didn’t Do It from 1 p.m. to 4 p.m.. So, make a day of fun with your family and friends filled with games, prizes and more! Cody Simpson’s heading down south this Saturday, May 24th to the Blue Bayou Water Park in Baton Rouge. He’ll be beginning things off for the Dixie Landin’ Summer Concert Series which runs every Saturday beginning May 24th until August 2nd. To get more details and tickets, just head to the Blue Bayou website.